Home / Victims of Sharia Action Network / What is VOSAN? Welcome to VOSAN, the Victims of Sharia Action Network. We have launched this initiative as a way of tracking the harm that sharia does to human rights all over the world. To record a case of sharia based human rights abuse click HERE (this will take you to our case form). 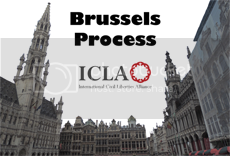 Victims of Sharia (VOS) Observatory was briefly piloted by ICLA in April 2013 to establish the logistics that would be involved and the resources that would be needed to start up such a project. For some time now the Organisation of Islamic Cooperation (OIC) has lectured the world on human rights despite the severe human rights abuses that take place in many OIC member states. Invented terms such as “Islamophobia” have been put into circulation to blame the victims of sharia abuse rather than its perpetrators. Furthermore the OIC has been attempting to institute a global blasphemy law which would extend such human rights abuses geographically and act to add legitimacy to all such abuses. Early signs suggest that the OIC is being successful in persuading non-Muslim governments and opinion formers to embrace its strategy to extend the reach of sharia principles and their associated human rights abuses. We believe that it is important for the whole world to realise the threat that sharia poses to human rights. We hope that this will inform people to such an extent that they will feel comfortable enough to join the lobby for appropriate and much needed reforms. Indeed some sharia practices are so degrading that need to be considered by international law as crimes against humanity. The project will now be officially launched as the Victims of Sharia Action Network (VOSAN). It will build on the Brussels Declaration that we made at a conference in the European Parliament in July 2012. The main aim of VOSAN will be to highlight the victims of sharia and use this to galvanise public opinion to demand appropriate changes in all areas of life in all countries of the world. Highlighting specific sharia related human rights abuses in the non-Islamic world. Public education campaigns and engagement with the media. Working with all stakeholders and opinion formers to ensure that the issue is addressed. Lobbying national governments to implement appropriate legislation. Ensuring that policies at local government level recognise the dangers that sharia poses. 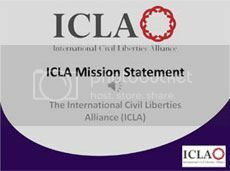 Campaigning to ensure that organisational diversity policies incorporate provisions to prevent the dangers posed by sharia from becoming manifest, particularly the dangers posed to the principle of equality and basic human rights. Working with Islamic groups to find ways to help them maintain their freedom of worship while at the same time gaining their commitment to engage with the VOSAN programme. Opposing the extension of Islamic blasphemy laws to the non-Islamic world. Lobbying national governments to implement and adjust foreign policy and international development initiatives to encourage countries of the Dar al Islam to implement appropriate policies. For instance decisions about foreign aid, transfer of technology, and favoured trading status should be based on whether recipient states have taken measures to end sharia based human rights abuses. Working with Islamic groups in the non-Muslim world to help them persuade their fellow Muslims in the Islamic world to respect and support the Universal Declaration of Human Rights and lobby for the implementation of appropriate policies. Working with groups in the Islamic world to highlight problems that exist there. Highlighting specific sharia related human rights abuses in the Islamic world. Campaigning for the non-recognition of the Cairo Declaration of Human Rights in Islam on the grounds that it withholds basic human rights from both Muslims and non-Muslims alike.